Petitions of 10,000 or more signatures have the power to open up an issue for discussion in Parliament so it is vital that every member signs this petition. Prisoners have a recidivism rate of around 40 per cent and many inmates are poorly educated or job-trained. However, research show that effective adult education in prisons can reduce the rate of recidivism and quality public education in jails has helped many to turn their lives around. 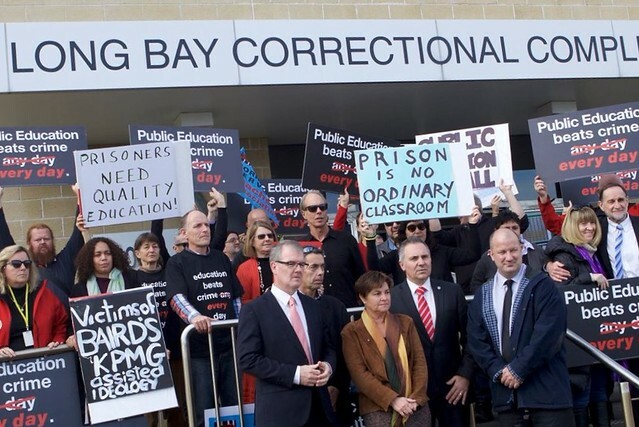 Now the government wants to abolish 132 of the 152 qualified teacher positions in gaols, re-classifying some of these jobs as clerical and opening up prison education to private providers who have already made the VET sector a mess. Make the Baird government reconsider! Let’s build a strong petition to preserve quality gaol education and keep experienced teachers in jobs where they change broken lives.